Turkey has so many magical spots the world doesn’t know about. 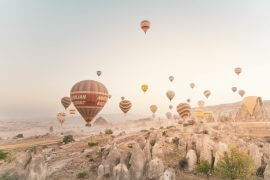 The balloons in Cappadocia, Paragliding at the turquoise coast in Fethiye or the salt pools in Pamukkale. Turkey is a must visit!